The U.S. Department of Labor plans to propose a rule that would reexamine worker classification, redefining who is given certain labor protections and who is not. The boom of the so-called gig economy — as seen in ridesharing apps like Uber and Lyft and others like TaskRabbit and DoorDash — have raised questions about whether people providing these services should be classified as entrepreneurs or as workers. Paul Secunda, professor of law at Marquette University, said the motivation for an employer-friendly Department of Labor to explore worker classification is very clear. “Obviously employers want as many workers as possible to be independent contractors for the reasons that they don’t have to pay benefits, they are not subject to employment laws, and are at a real disadvantage bargaining with their employers,” Secunda said. Secunda said such a rule would have profound effects on workers. Bloomberg Law broke the news that the department would be looking at the issue after a spokeswoman told the outlet it will update the joint employer rule and then look at worker classification. There are different tests and factors to determine whether a worker is an employee or contractor. The National Labor Relations Act uses what is known as a common law definition based on how much control the employer has over the worker, including factors such as bringing your own tools to a job, whether you get a W-2 or Form 1099, and how much direction you receive on how to provide the service or product. Under the Fair Labor Standards Act, which the Labor Department administers and enforces, there is an economic realities test that asks how dependent someone is on the employer in question. The more dependent the person is, the more likely that person is an employee and not an independent contractor. In January, the National Labor Relations Board (NLRB) ruled that the transportation service SuperShuttle was correct to call its airport van drivers contractors instead of employees. The NLRB said it was considered entrepreneurial opportunity since workers set their own schedules and have their own work vans. Secunda said the ruling was a “radical departure” from the common law definition of employee that has been used under the NLRA for decades. One in five Americans is a contract worker, so the debate over who is an employee or contractor will only grow in importance. People who are considered freelancers, on-call workers, temp agency workers, and contractors increased from 10.5 percent to 15.8 percent between 2005 and 2015, according to Harvard and Princeton economists. Many of these workers have pursued lawsuits in the past few years. A part-time driver sued Grubhub in 2015 and argued that he that was entitled to minimum wage, overtime pay, and reimbursement of expenses, since the company had a lot of control over his schedule. But last year, a U.S. District Court judge disagreed and said that because he never went through training, wore a uniform, or received performance evaluations, he wasn’t a traditional employee. A federal judge ruled last year that Uber doesn’t have enough control over Uber Black, a limo service, to be considered an employer under the FLSA, since drivers are free to run personal errands, take naps, and smoke cigarettes between rides. In 2017, DoorDash, a food delivery company, reached a settlement with workers after they said they were misclassified as independent contractors. Although the agreement provided more protections for workers and clearer policies, it did not result in a change in worker status. Secunda said that although the department will likely argue that these workers are entrepreneurs, there isn’t necessarily evidence to suggest that is how they should be characterized. Due to low pay, some drivers work extraordinarily long shifts. This possible change would come after recent victories for businesses. In December, a federal appeals court ruled that an Obama-era standard that says joint employers can be held responsible for labor law violations and must bargain with contract workers’ unions was too broad. McDonald’s has been one of the companies at the center of this issue, after workers filed 291 complaints accusing the company of retaliation for a strike in the form of reduced work hours, disciplinary actions, and interrogations. The Labor Department plans to update the joint employer rule soon. The Labor Department has also recently moved to encourage states to conduct drug tests for people seeking unemployment insurance, which labor experts say would accomplish nothing but humiliation and more hoops for low-income people seeking relief. Meanwhile, House Democrats are focusing on the Labor Department’s handling of its proposed tip-pooling rule, after reports that the department moved to hide findings that the rule would rob workers of billions of dollars every year. On Friday, Reps. Bobby Scott (D-VA), Keith Ellison (D-MN) Mark Takano (D-OR), and Suzanne Bonamici (D-OR) askedfor all economic analyses of the rule. Democrats have also called for an investigation into Labor Secretary Alexander Acosta after a Miami Herald report on his role in securing a plea deal for multimillionaire financier Jeffrey Epstein, who was able to avoid prison despite allegations that he sexually abused dozens of girls. This article was originally published at ThinkProgress on February 6, 2019. Reprinted with permission. 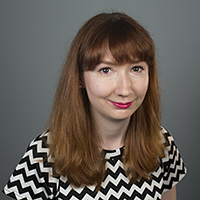 About the Author: Casey Quinlan is a policy reporter at ThinkProgress covering education and labor issues. Their work has also been published in The Establishment, Bustle, Glamour, The Guardian, and In These Times.